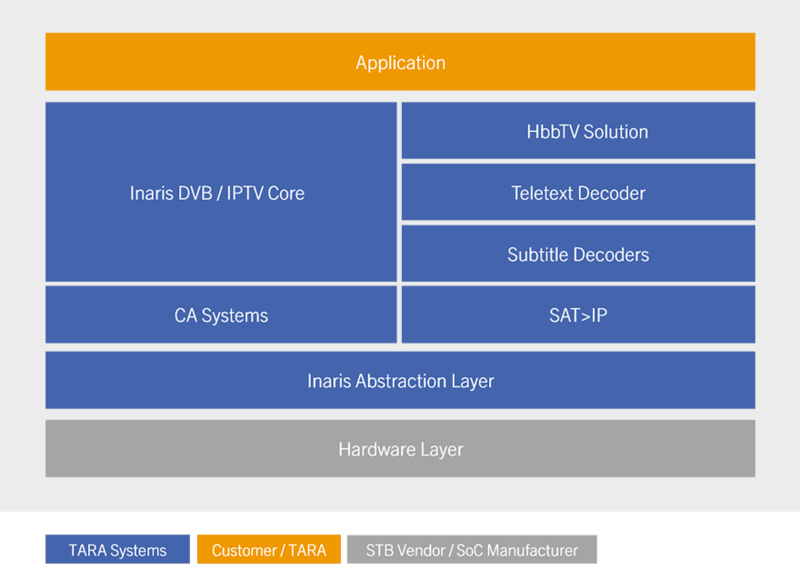 The Inaris Middleware is a modular solution for DVB / IPTV and can be used in all kinds of devices supporting TV functionality. 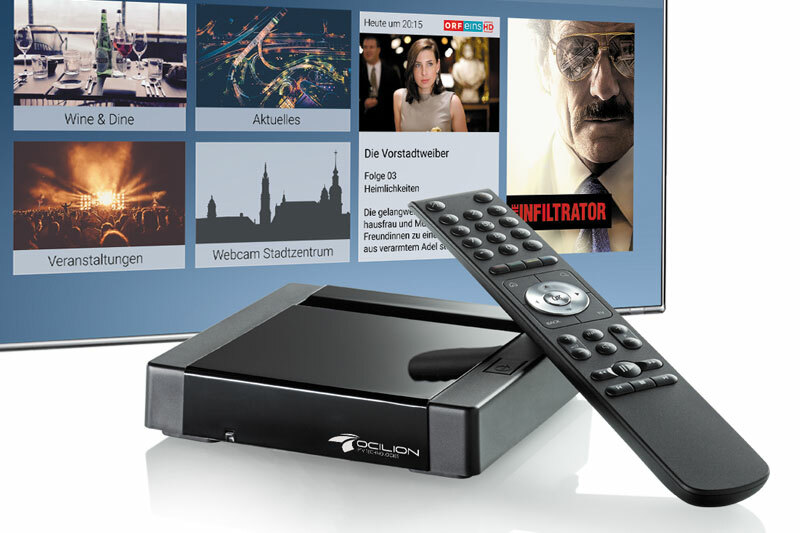 It comes with the reference application TVolution and includes popular features like HbbTV, EPG, Teletext, Subtitling, SAT>IP and UPnP. This page addresses the feature set and use cases of the Inaris Middleware which is available for Linux and Android TV devices. For DVB/IPTV and Hybrid STBs supporting multiple tuners including PVR functionality. 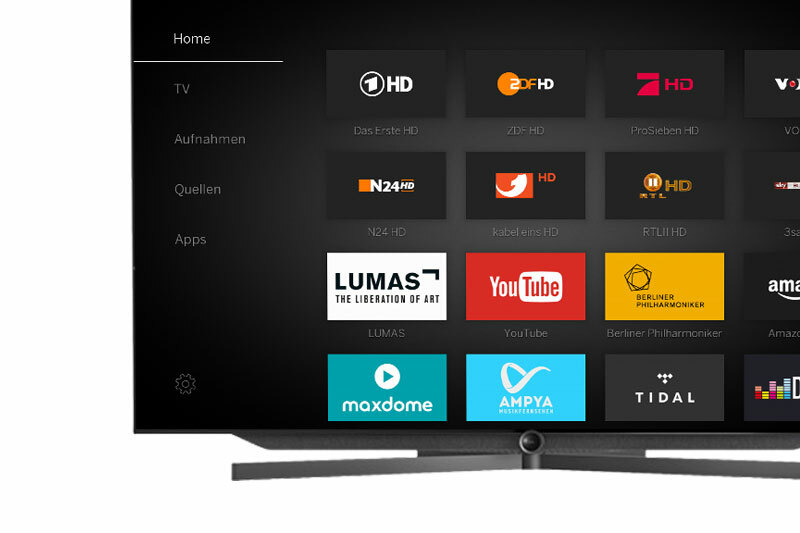 HbbTV, Subtitle, Teletext or SAT>IP for value added features. To provide TV services within a home network for multiple clients. Streaming TV content inside a car to a mobile client or a rear seat entertainment unit. Reduced porting effort due to an abstraction layer for operating system and hardware. Several CA systems have been integrated and passed the certification process successfully. To facilitate the deployment and minimize development costs. To allow the usage of different GUI technologies. To ensure an easy startup for your project. Learn more about TVolution. The Inaris Middleware allows a wide variety of input sources for linear TV. Supporting broadcast as well as broadband (IPTV and OTT) reception, it enables the usage also within hybrid devices. Application includes the user interface. With TVolution TARA offers a reference application which is used in several products. 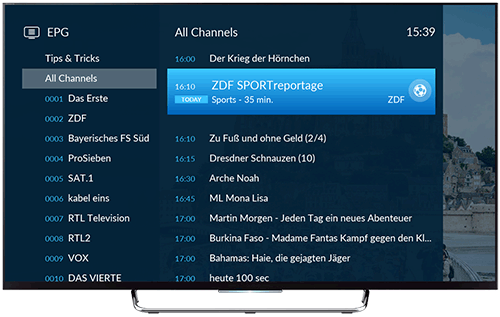 Inaris DVB/IPTV Core covers the core TV functionality incl. 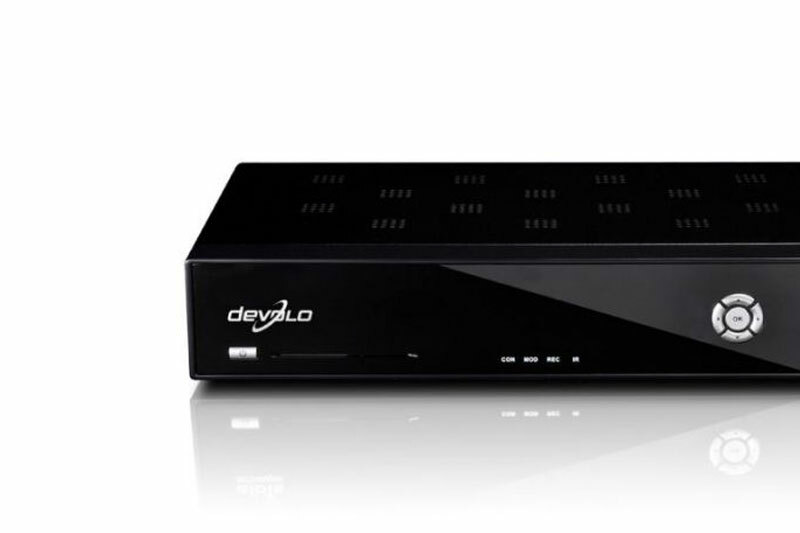 channel scan, channel management, EPG, parental control and PVR. CA Systems interface and rights management enables integration of content protection systems. 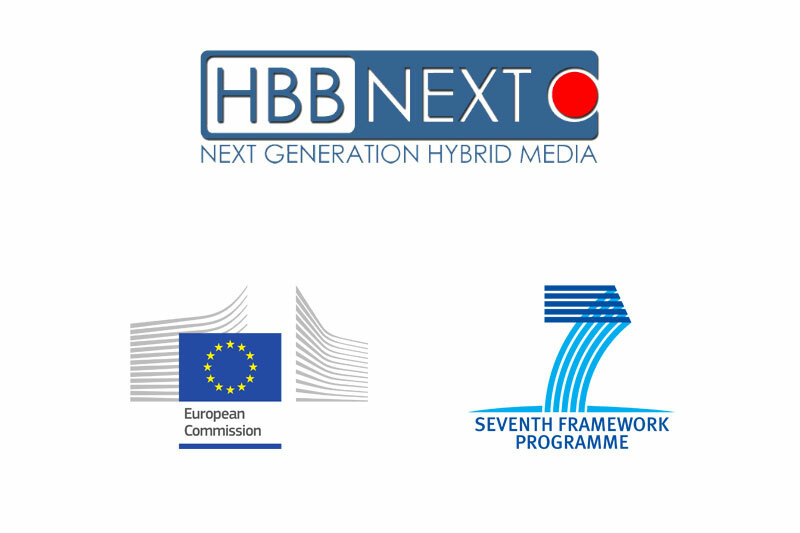 HbbTV Solution is a modular extension to allow HbbTV feature. Teletext Decoder supports up to level 2.5 specification. Subtitle Decoder is an optional extension to display subtitles. 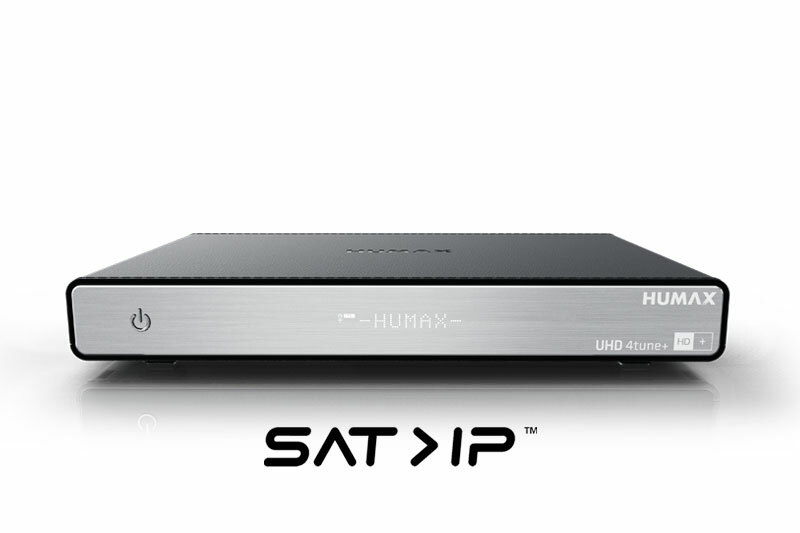 SAT>IP components realise SAT>IP server and/or SAT>IP client functionality. Inaris Abstraction Layer enables a flexible solution running on different platforms. It consists of a Hardware Abstraction Layer (HAL) and an OS Abstraction Layer (OSAL). Hardware Layer is provided from SoC manufacturer and extended by specific drivers of the HW vendor. It includes OS (e.g. Linux), drivers and codecs. 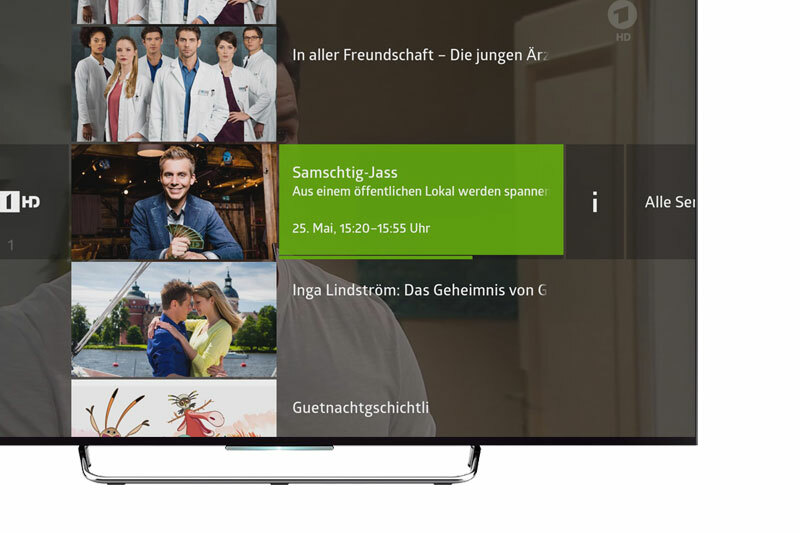 TARA’s digital TV reference application is based on the modular Inaris Middleware, combined with a feature-rich user interface application. TVolution is intended as reference implementation and easy startup for customer projects, and also has been deployed in several products on the market. The easy-to-customize graphical user interface has been realised with TARA’s GUI solution Embedded Wizard and is available with three skin variants. Get in contact with Manfred Schmidt – Inaris Software Architect – to get detailed information and evaluation material.